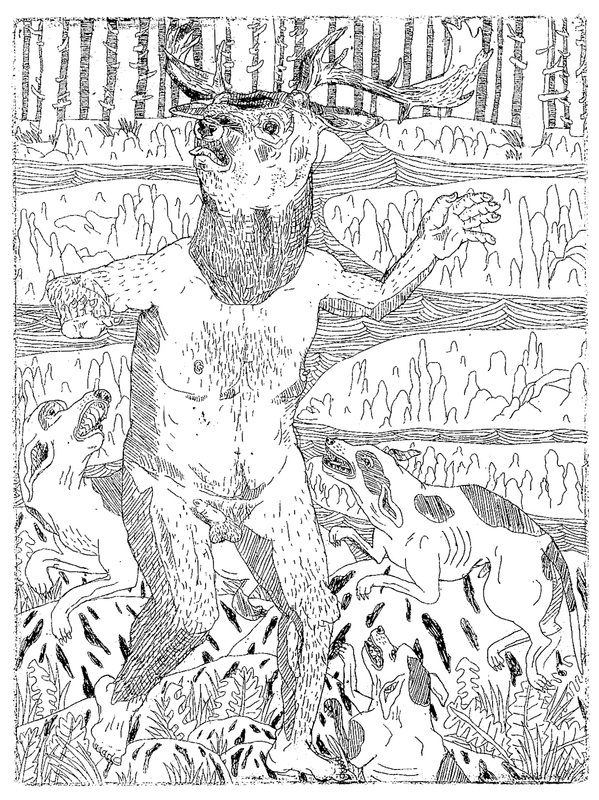 "Stag and Dogs (part 1)," etching, 6"x8", 2014. 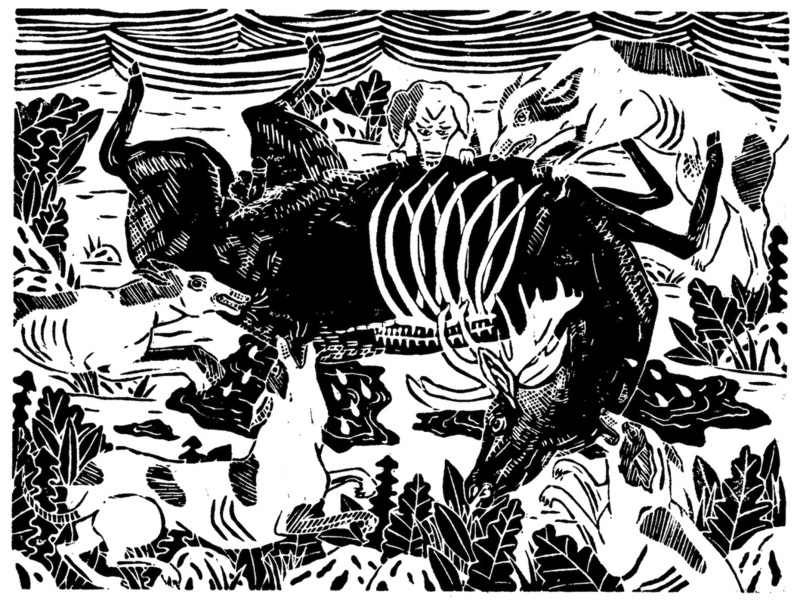 "Stag and Dogs (part 2)," linocut, 9"x12", 2014. 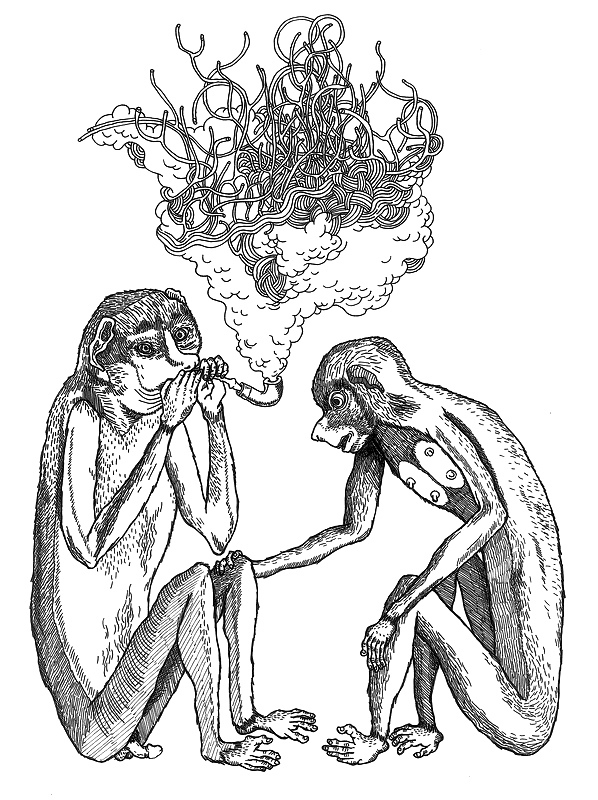 "Monkey Creatures Smoking," ink on bristol, 11"x14", 2013.